After getting bundled out for less than 200 on the third morning of the Colombo test, the Sri Lankan team put on a far better display following-on and got very close to denying India an innings win. India, however, eventually secured the innings win and with that secured the series win as well, but, it was definitely Sri Lanka’s best batting performance in the whole series and they would now be a pretty confident batting unit going ahead. It was not that the wicket changed too much and the turn and bounce disappeared all of a sudden when the Sri Lankans came in to bat the second time. The Marylebone Cricket Club (MCC) have confirmed plans to implement new laws of the game in which players will get sent off for serious issues bordering on misconduct. 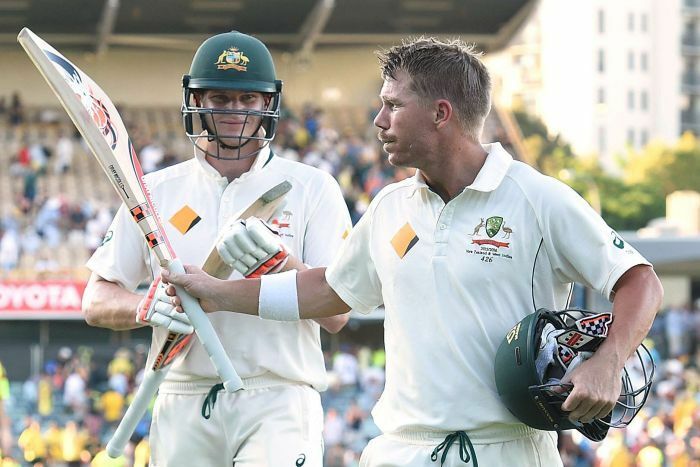 In addition, the MCC will clamp down on bat sizes ahead of the Ashes series. The 2017/18 Ashes series will see players getting punished through penalty runs as part of new on-field sanctions for poor player behaviour. The series this year is poised to happen in Australia from November to January. The issue of batsmen having an edge over bowlers has been addressed after bats increased in thickness in recent years. The maximum dimensions of bats are now 108mm in width, 67mm in depth and 40 mm in edges. 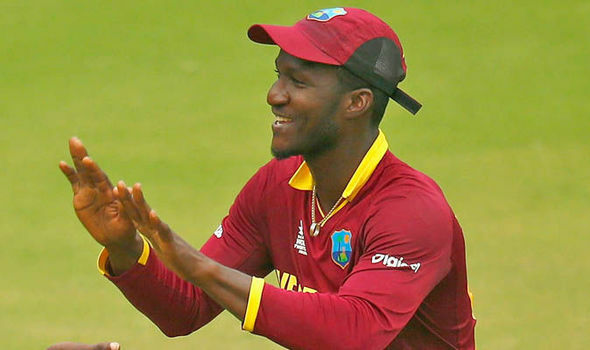 Darren Sammy may be considered more as a T20 freelancer these days, but, he insists that he is ready to serve his motherland in white ball Cricket any time. Sammy is probably the only international skipper who was dished out the sack by his board after winning one of the ICC majors and that too not because of any Cricketing reason, but, because of the speech that he had delivered in the aftermath of the title win as that speech was aimed against the board, but, the St. Lucia strongman took the sack in his stride without complaining and has been featuring for overseas franchises in the T20 tournaments since then, the latest of which was the Hong Kong league. Jimmy Anderson believes that the condition of play suited Virat Kohli and that if it was in England, he would have ended up as a flop. Anderson’s slight dig at the cricketer came at a period where the Indian captain was enjoying the time of his career, having made the headlines due to leading his team to victory and his astounding play. Anderson is of the belief that the Indian tracks was of much help to Kohli as it lacked both pace and movement, which ensures that any technical glitches on the side of the Indian are hidden. Pakistan lost to Bangladesh in the national Stadium in Dhaka last night and was knocked out of the Asia Cup. It was Pakistan’s second loss in the tournament as they had been toppled by India as well in their first game. Now, they have to play Sri Lanka on Friday which will be a dead rubber. The Pakistani team had come into the Asia Cup on the back of the Pakistan Super League and thus, had been considered as a strong contender, but, it was the same old story of irresponsible batting and lethargic fielding from them. Their bowling was fast and furious as always or even more so with the arrival of Mohammad Amir, but, the rest two departments let them down. The games against India and Bangladesh which they lost, they just didn’t put enough runs on the board. Kolkata Knight Riders would be ruing their soft batting execution at Green Park which got them losing their second game back to back and left them in a shaky situation for the playoffs qualification. The grass on the deck meant the scores of 190-200 were not quite realistic even with the boundaries not situated at a huge distance. Technique had to play its part while setting up the total for the opposition and Kolkata’s main weapon in that regard was their skipper and highest run getter Gautam Gambhir who had got a half century in the last game too. Virat Kohli has owned the IPL 2016 with his batting prowess. With four scores of three figures in 13 games, he has got over the mark of 850 with his runs’ tally and has left behind all the previous highest scorers of the tournament by some margin. Virat seems to have unlocked something for himself in terms of his big hitting because he never hit the ball such far and long before. He was always the anchor of a batsman who would begin his innings with some watchfulness and would be interested in finding the gaps through the field as he went along. The Indian team beat Sri Lanka in the last two games and won a bilateral Twenty 20 series at home for the first time. Sri Lanka, a team mostly comprised of the young players, had won the series opener on a green top, but, they had a reality check in the second and the third game as they were absolutely torn apart by the Indian heavyweights. However, the Sri Lankan team management would be really impressed with a couple of their players especially in the fast bowling department. That tall lanky pace bowler Dushmanta Chameera, he was on fire that lad. Steaming in, hitting the deck hard, hurrying the batsmen and in between all that, he disguised his slower deliveries superbly as well. He would be a bowler to look out for in the World Cup as he can make use of all conditions. Eoin Morgan, the captain of the England national side in white ball Cricket, is not going to feature for Middlesex in the upcoming County game versus Worcestershire. He is said to have almost recovered from the concussion that he had sustained batting in the 5th One Day International game of the Australia series, but, the Middlesex management has decided to keep him out on a precautionary measure. This season, the ECB has advised all the counties to be slightly careful with the players who have had concussion and to play them only when they don’t show any signs of dizziness for at least 7 days.